Have you ever actually read the side of a cracker box? 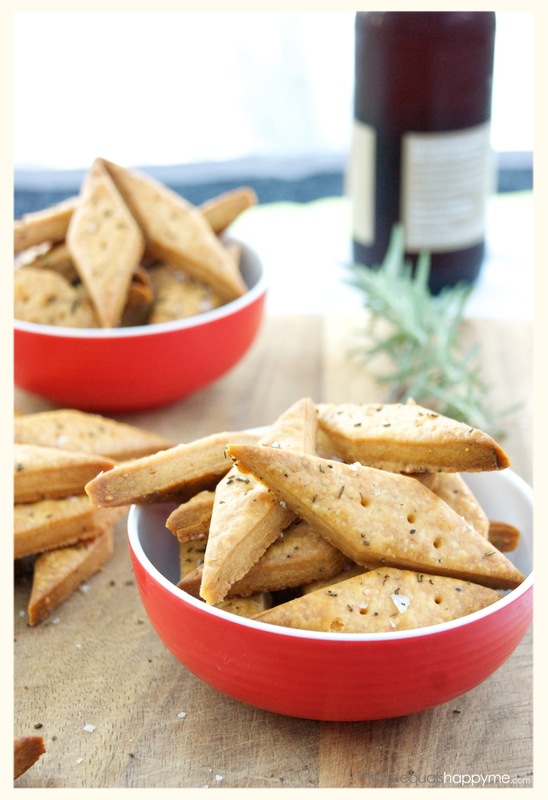 The amount of ingredients (most of which you can’t pronounce) is alarming – But when you discover just how easy these homemade Cheese Crackers with Rosemary & Sea Salt are to make, you’ll never reach for another box again. 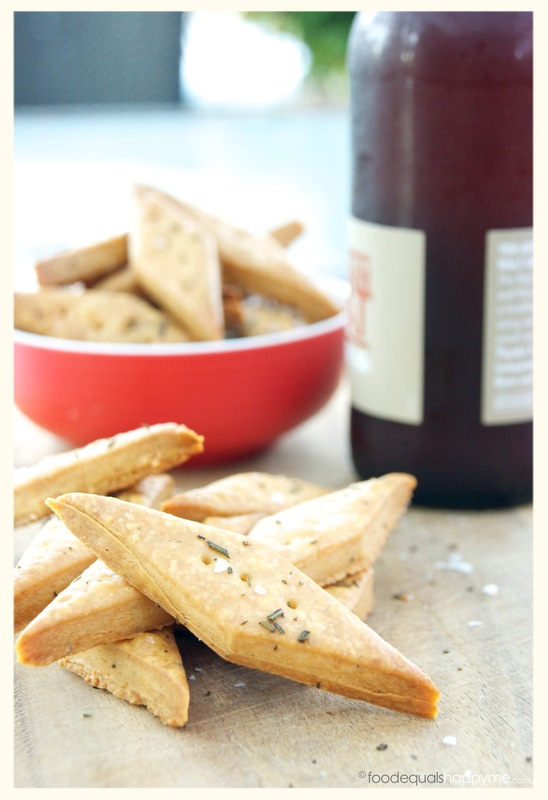 Crunchy, salty, and oh so cheesy, they are the perfect snack for cocktail hour. 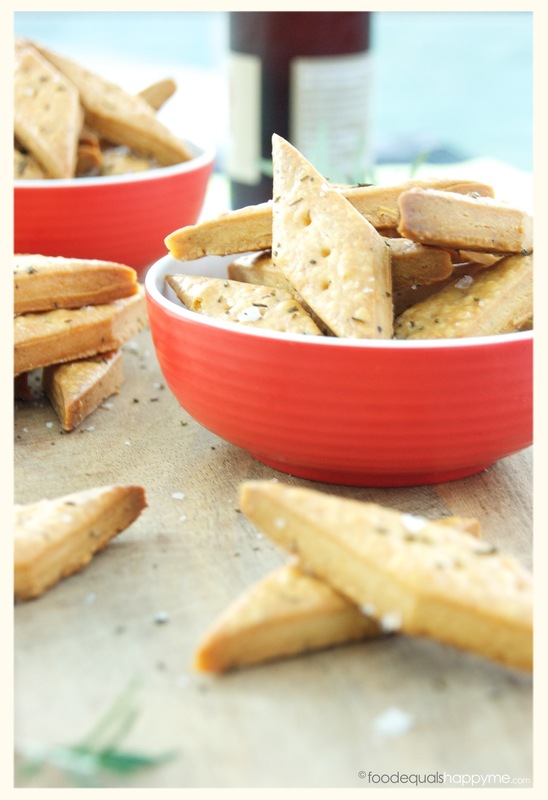 This recipe can be used as a great base for whatever flavours you prefer. You can use a tasty cheddar cheese like I have, or use a combination of cheeses like cheddar and parmesan. 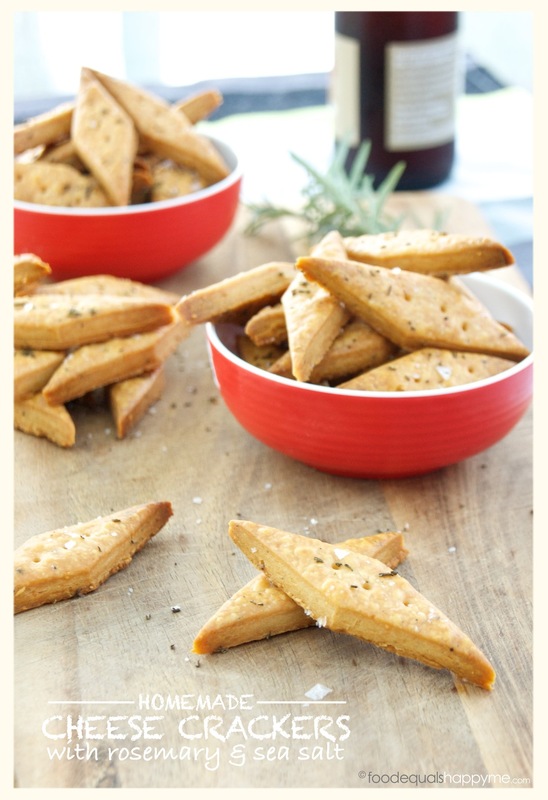 Likewise you can add any of your favourite herbs or spices in the dough itself or sprinkled on top. Try some chilli flakes mixed into the dough or sprinkle them with some smoky paprika before baking – you have my permission to go nuts. 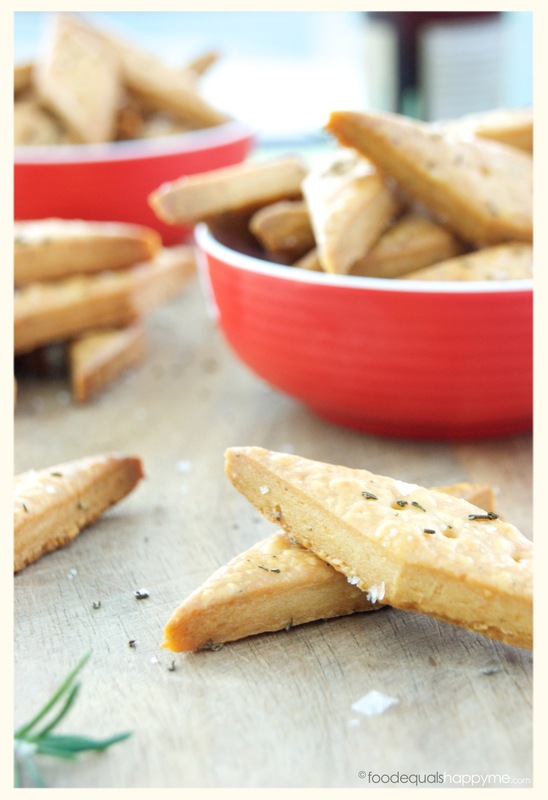 Place the softened butter, flour, cheese, salt and pepper into a processor and blitz until combined. Add 2-3 tbsp of water and pulse until it forms a crumby dough. The mixture should be slightly moist, and stick together when you press it between your fingers. Turn the dough out onto your bench and ever so slightly knead it to bring it all together. Press it out into a flat disc, cover with cling film and pop it in the fridge for 30mins to chill. Preheat oven to 190 degrees c and line a tray with baking paper. Take the dough out the fridge and place it on a lightly floured bench. Roll it out to around 1/8 inch thick. Cut into squares (or any shape you like, a pizza cutter makes easy work of this) and place the crackers on the lined baking tray. You can space them pretty close together as they don’t spread very much. Any leftover dough can be brought back together with a quick knead and rolled out again until all the dough is used up. 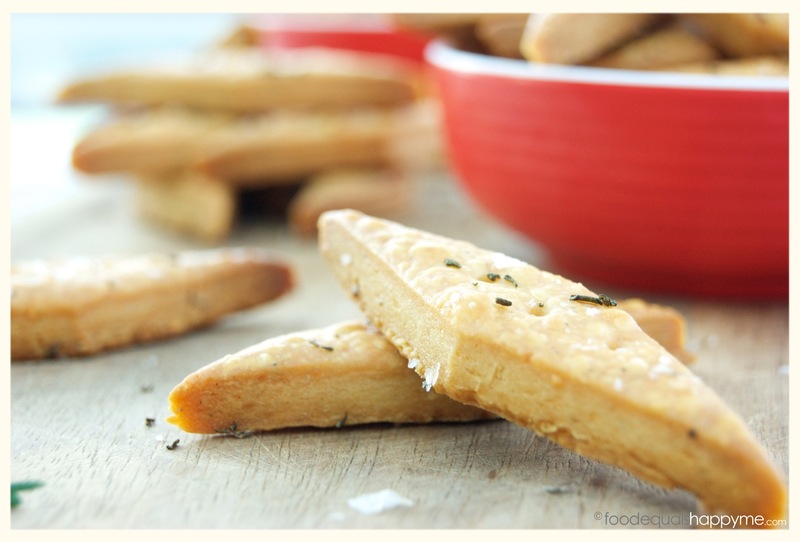 Use a fork or a skewer dipped in flour to prick the top of the crackers. Sprinkle with finely chopped rosemary and a few sea salt flakes, then bake in a pre-heated oven for 13-15mins, or until lightly golden. Remove them from trays immediately, and allow to cool before serving. 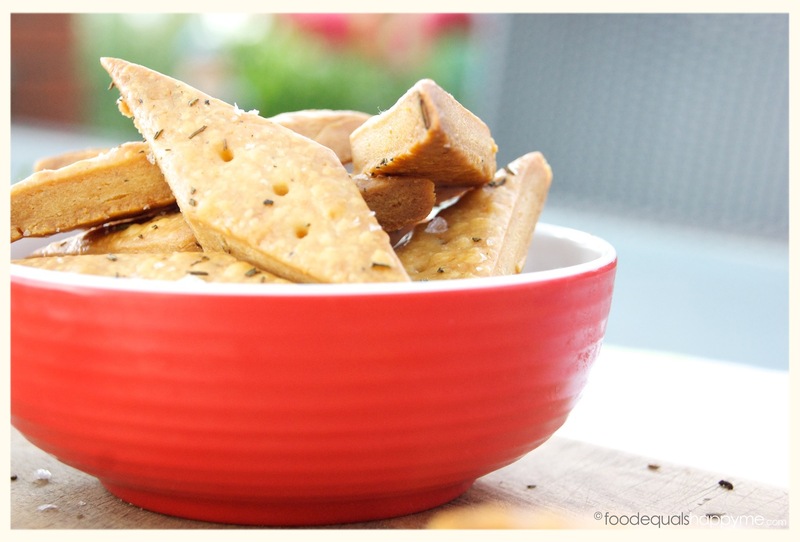 The crackers can be stored in an airtight container to enjoy for around 1 week.